Fill out the simple form below and we’ll get back to you in 24-48 hours. So ping us if you need help creating a custom one-of-a-kind quilt. Have questions on one of our patterns, tutorials, or classes? Definitely reach out! 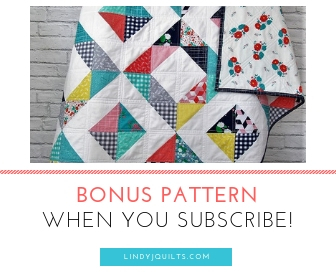 Interested in joining our Lindy J Quilts community? Subscribe here! We offer weekly emails + updates. And sometimes we throw in freebies just for our crew!